Nathan Harrison is a Psychology Honours student and a FFCMH Honours Scholarship holder. For his Honours project, Nathan is working closely with Cancer Council SA to develop more targeted psychosocial support service information for rural men affected by cancer. Nathan is being supervised by Dr Kate Fennell (nee Gunn) and Professor Carlene Wilson from the Flinders Centre for Innovation in Cancer (FCIC). ‘Rural’ images to increase relevance. In addition, to cater for the rural male, the language used was active, ‘masculine’, avoided the term ‘help-seeking’ and testimonial-like language was used to increase relevance. Kate’s passion for rural health stems from her rural upbringing and conveniently her Father and his farm appear on these brochures. 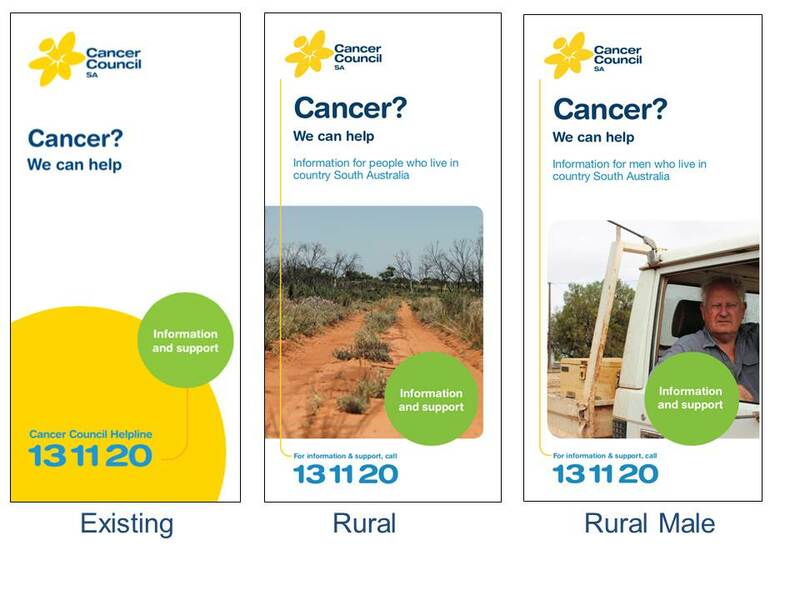 Nathan will now be testing whether the proposed new Cancer Council SA brochures (shown above) are more effective than generic information. The Centre wishes him all the best for the final stages of his project. This entry was posted in News, Research and tagged Cancer Council SA, cancer support care, FCIC, psychosocial, rural health. Bookmark the permalink.